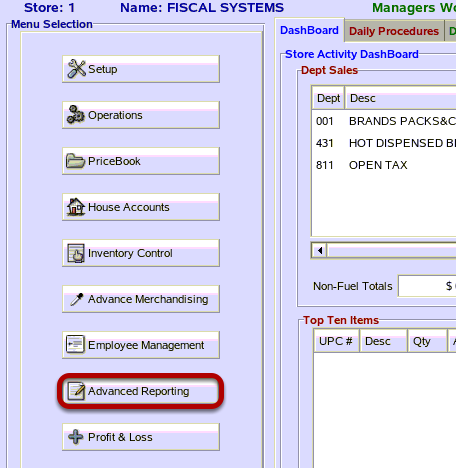 TravStar1 Point Of Sale SystemManager's Work Station ReportsHow Do I Run the Red Flag Report? How Do I Run the Red Flag Report? This lesson will teach you how to run the Red Flag Report. This report is used to calculate profit loss. From the Advanced Reports menu, click on the "Red Flag Report" button. (1) From the Red Flag Report, click inside Enter Terminals. Type a register range or type the number 0 for all registers. 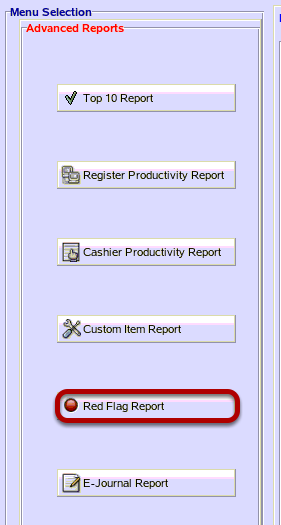 (2) Check the boxes beside the types of transactions you want to display in the report. Voids – Check this box if you would like to see the voids on the report. Cancel Sales – Check this box if you would like to see all of the sales that were canceled on the register. Returns – Check this box if you would like to see all of the returns processed on this register. 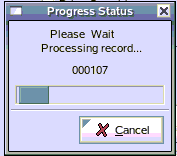 No Sales – Check this box if you would like to see the number of time the No Sale function was executed. Discounts – Check this box if you would like to view all discounts processed on the register. Department Presets – Check this box if you would like to view the department presets in the report. Upon checking this box you will be required to enter the department number that you wish to review. Price Overrides – Check this box if you would like to view all the price overrides that were processed on this register. Price Sets – Check this box if you would like to view the entire price sets on this register. Print Department Returns – Check this box if you would like to print all the returns processed on this register. 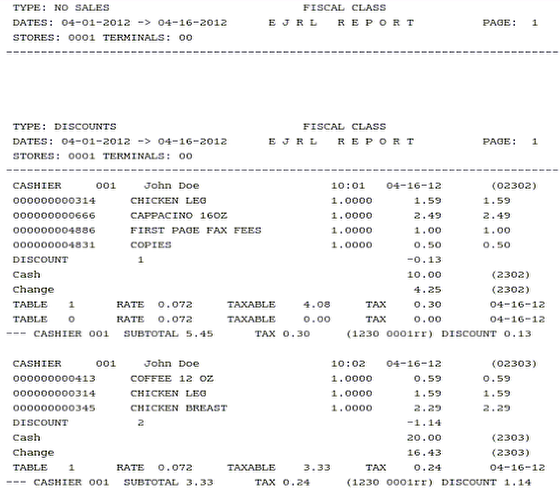 Print Cashier Summary – Check this box if you would like to print a summary for this cashier. Then type in the cashier number you wish to print the report for. (3) Click on the Beginning Date to change the date. Click on the Ending Date to change the date. The default date for both fields is today's date. 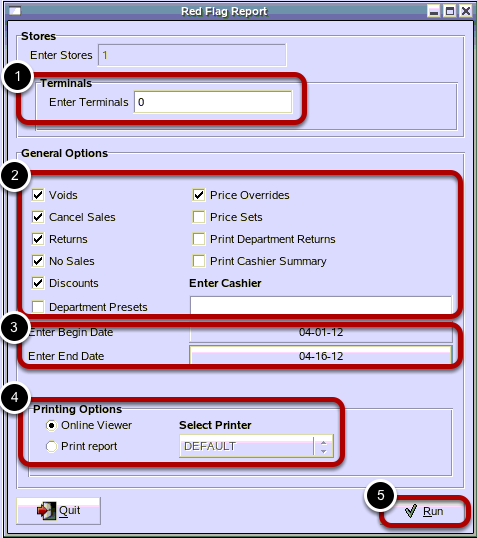 (4) Select an option to print. Either view the report online or print the report. You can still print the report if you view it online first. Click on the "No" button to not print the Price Change Summary or the "Yes" button to print the Price Change Summary. You will see a status bar while the report processes. This is an example of what the Red Flag Report looks likes printed. Prev: How Do I Add the Stuff Labels Button? Next: How Do I Run the E-Journal Report?